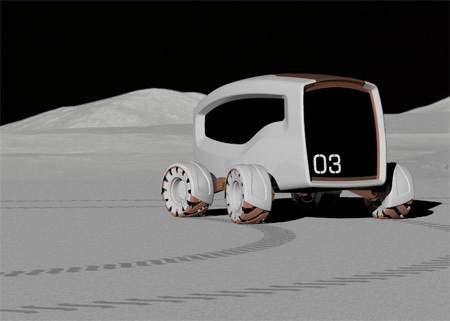 Alberto Seco has introduced a concept of Moon Recreation Vehicle which consists of 4 different panels that can be assembled on the skeleton frame, suspension arms and wheels. The side panels are made up of glass in order to provide a bigger view to the passengers and the driver can also enjoy a big widescreen. 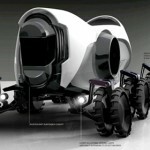 The vehicle has giant and strong wheels so that it can move easily on the waved and hilly surface of Moon. All the parts of this vehicle can be separated and would fit into the shuttle easily. Once astronauts reach on Moon, they can assemble it. 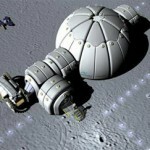 Overall, the concept pretends to be friendly with the Moon environment. Space tourism is already a concept that many companies are taking seriously. 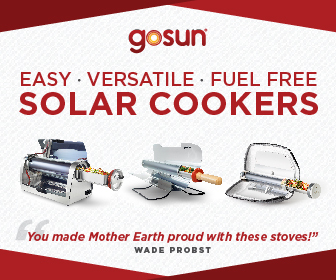 Imagine that you have traveled to the moon with four other lucky tourists. You arrive on the moon which is still very empty, and now you and your four travel companions have six hours spare time. 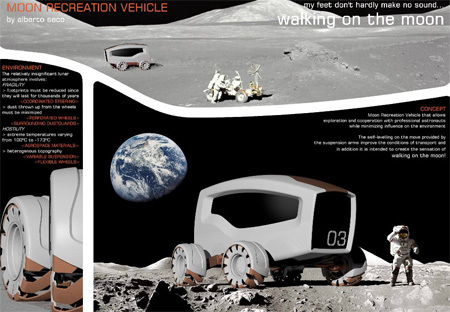 Design a moon recreation vehicle with this new form of travel and leisure activity in mind. FOUR WHEEL STEERING ensures soil preservation by two footprints while providing improved steering. 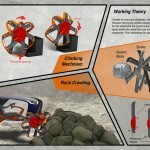 COORDINATED STEERING reduces damage on the moon surface since turning impact is limited to two footprints by turning front and rear wheels in the opposite direction. PACKAGE: Passenger Seats are distributed in order to offer a wide central aile. 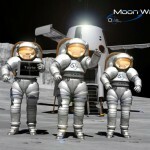 Space is needed to access the seats due to the space suits size. 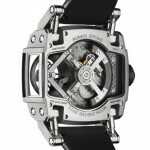 The pilot is centrally located to improve his/ her visibility and vehicle control. 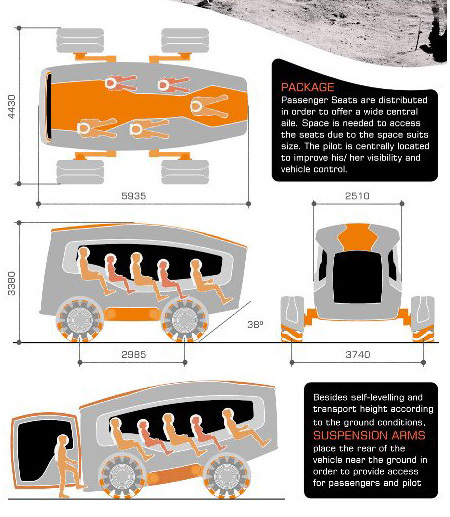 Besides self-levelling and transport height according to the ground conditions, SUSPENSION ARMS place the rear of the vehicle near the ground in order to provide access for passengers and pilot. 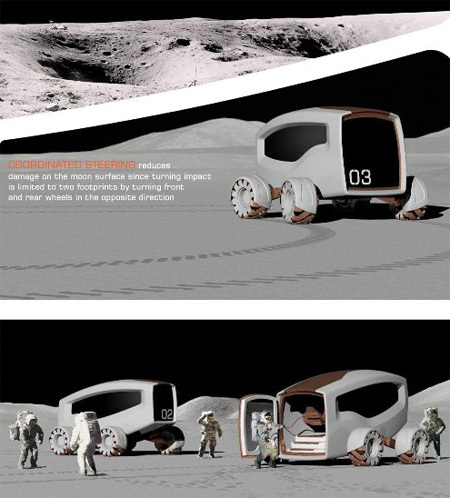 CONCEPT: Moon Recreation Vehicle that allows exploration and cooperation with professional astronauts while minimizing influence on the environment. 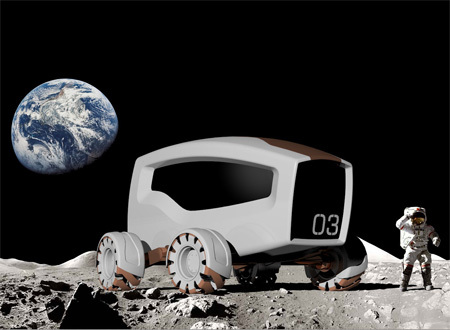 The self-leveling on the move provided by the suspension arms improve the conditions of transport and in addition it is intended to create the sensation of walking on the moon! 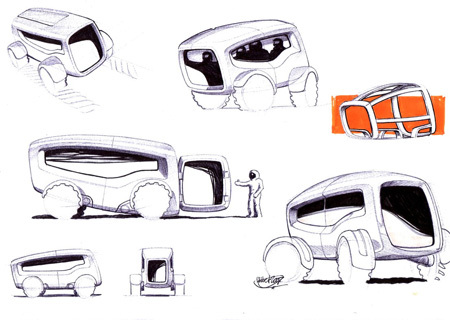 The body concept consists of 4 panels (two side panels, the roof and the floor which would also have a function of frame since it would contain the drive unit). These panels would be assembled on the “skeleton” frame (similar to one of the sketches). 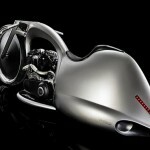 Suspension arms and wheels would complete the vehicle. So all the parts would fit into the shuttle meanwhile the final assembly could be undertaken at the moon. 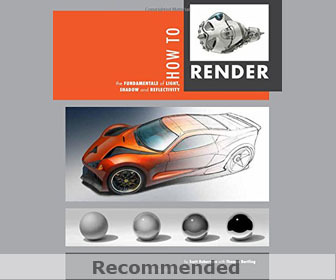 – rounded surfaces: things like an egg or a dome are structural masterpieces. 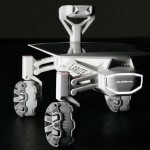 – width provided by the suspension arms and wheels around the vehicle body: the moon surface is quite waved and hilly. The footprints left behind by the Apollo astronauts will last for many thousands of years because there is no wind on the Moon. The Moon has no atmosphere, so there is no weather to erase the footprints. 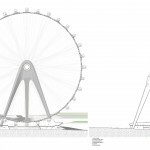 Although gravity is extremely low, we are talking about a big vehicle with five people inside so I think wide wheels would reduce compaction and by no means are useless, since the concept pretends to be as friendly with the environment as possible. The beginning of the project coincided with the announcement of The Police tour. After all, the lyrics provided me with some messages about the environment and the vehicle. Tagged as lunar atmosphere, moon surface, rear wheels, soil preservation, space suits, travel companions.